As a Fellow in the National Sculpture Society, Worth has been winning recognition for her talent and technique for over 40 years. 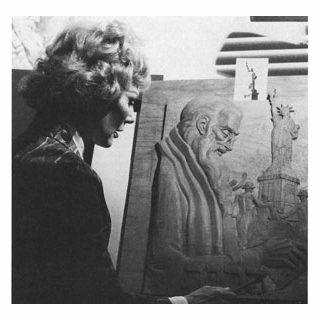 As a sculptor Worth was elected a fellow of the National Sculpture Society in 1960. She designed her medal for the Society of Medalists in 1963 and since then has designed over 600 coins and medals. She was awarded the Amerian Numismatic Society's Medal of Signal Achievement and the Sculptor of the Year gold medal. Her works are in museums such as the Smithsonian Instituation, West Point, the B'nai B'rith Museum and Oxford University.